The brain needs blood and oxygen to function, so when a blood vessel leading to the brain is obstructed or ruptured, it can result in a hemorrhagic or ischemic stroke which may be deadly. 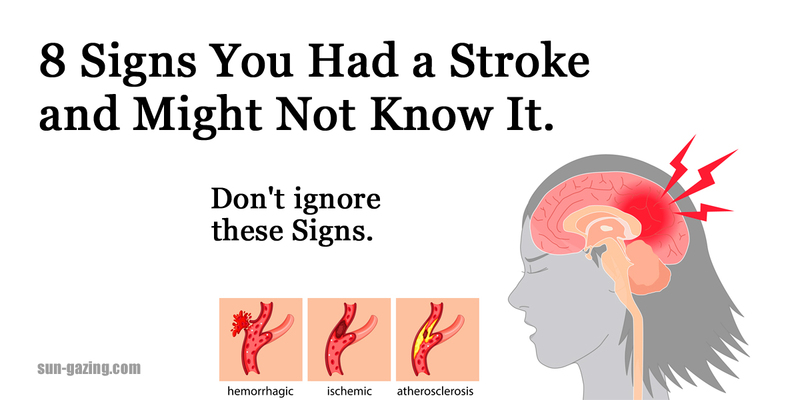 The symptoms of stroke are often ignored which is why the condition is so fatal – it is currently number 5 on the list of leading causes of death in the USA. To prevent the problem, it’s important to recognize the early symptoms of stroke which are listed below. Frequent headaches or migraines can be a sign of a stroke, which is why you need to check the symptom at a doctor. T – timing is everything in cases of stroke. If you notice any of the symptoms, you need to call an ambulance immediately! Seeing double on one eye or seeing a blurred image is one of the earliest signs of a stroke. Stroke symptoms should never be ignored – the condition is highly dangerous and is often fatal! If you notice any of the aforementioned symptoms, call an ambulance immediately in order to increase your chances of survival.